Released with Android 8.0 Oreo and EMUI 8, the View 10 offers different customization options and some software goodies that are worth getting to know. Those of you who are already familiar with Huawei know that it offers many customization options. You can activate gestures, change the background, enable the app drawer, customize navigation links, the font size, the display color, and so on and so forth. If you’re looking for these kinds of ‘basic’ tricks, I’ll refer you to the article on the Huawei P10 tricks because most of them are also applicable to the View 10. And below I’ll go through some tips not included in the previous article that will you allow you to optimize your device. Honor already released a software update to make this feature more complete and to allow users to unlock the device through face recognition. Whether you’ve received the update or not, I recommend that you activate it, at least to have access to the contents of the notifications from the lock screen. Go to Settings > Safety and Privacy > Face Recognition. Just like in the Honor 9, you can experience 3D sound on the View 10. To do this, however, you’ll have to connect wired earphones to your device, since it doesn’t support the use of Bluetooth headphones. The Histen Huawei Audio Effects can’t be accessed under Settings > Audio until you plug in headphones. With this feature you can create a kind of private island, which is only accessible with a password and a different fingerprint from the one normally used. This is a useful feature for those of us who often share smartphones with friends or colleagues and for people who generally want to make sure that data, photos and apps stay away from prying eyes. You can learn how it work in this article and activate it by accessing Settings > Security and Privacy > Private Space. If Private Space is too drastic of a solution for you, you can rely on App Lock in Settings > Security and Privacy. You can set a password or fingerprint to open some applications on your Honor View 10. You’ll find a list of apps that allow you to manually lock them by moving the cursor to the right. Here’s a gem that you may not know about. It's called Screensaver, and when it’s enabled, the device will automatically scroll through your photos while your smartphone is charging. You just have to allow access to photos and multimedia content and select the source folder as well as the duration of your slideshow. Here’s one small extra tip: place your View 10 on a stand to better enjoy your photos. Choose between Game Mode (optimized performance at the expense of power consumption), Smart Mode (balance of performance and battery consumption) or Power Saving Mode (reduces power consumption as well as gaming performance). Activate uninterrupted games to hide notifications on the screen, except for those related to alarms, calls and low battery alerts. The View 10 integrates an infrared sensor, which when using the pre-installed app on your device will allow you to use your smartphone as if it were a remote control. Look for the app called Remote Control, click on Add Remote Control, select the device you want to connect to and follow the instructions below to pair the devices. There is also a menu with a few customization options. Activating voice commands can be useful for all situations where your hands are busy. Go to Settings > Intelligent Support > Voice Command and select your preferred option. To be able to make calls from the unlock screen or search for your device, you will first need to click on Voice Reactivation and say ‘Dear Honor’ three times in a quiet setting. The process is the same as required by Google Assistant, only the magic words have changed and you can decide to customize them. I personally find this feature useful to make a quick call. Just hold down the lower volume button for a few seconds from the lock screen and say the name of your contact after the beep to start your call. Try to get as close as possible to the microphone or the voice recognition may not work properly. And more interestingly, you can also search for your device just by saying ‘Dear Honor, where are you?’. Launch an app, click on Full Screen Display at the bottom of the screen and then click OK to confirm. Go to Settings > Display > Full screen display and then manually select the applications where you want to activate this feature. Please note, however, that if you do not optimize for this type of display, black borders will appear around the frame of the app. For those of you who still prefer sending a text message instead of using WhatsApp or Telegram, it may be useful to activate the Cancel Send function in the Messaging settings. Once activated, you are able to cancel sending a message by clicking on the message within six seconds of sending it. 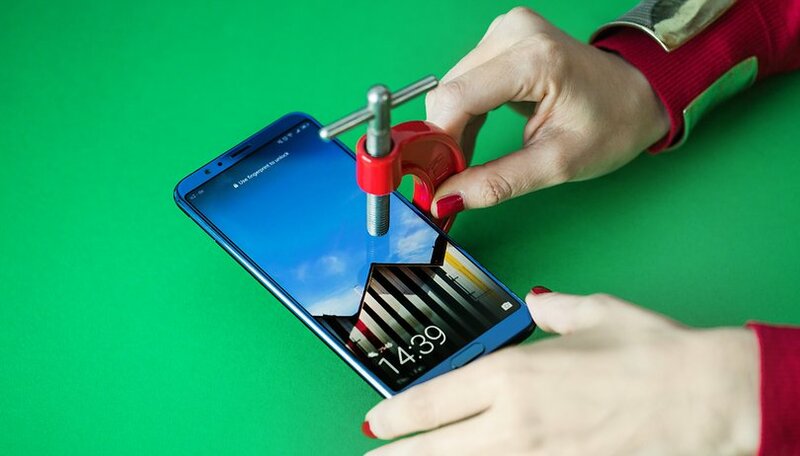 The Honor View 10 can be customized in many ways. This article will be followed up with an article especially for the camera, so you’ll know how to tweak the double camera integrated in your smartphone. What other tricks and features are you interested in learning more about? Let us know in the comments! Old school, IR blaster that's a welcomed addition from yesteryear. For 500.00 bananas this is a very good offering. Too bad the AT'T & Verizon deal fell thru. It would have been great competition Samsung & Apple here in the US!